Bethesda’s commitment to offering a complete continuum of care has resulted in innovation across the entire organization. By weaving together different aspects of care—from emotional support and physical aid to preventive and therapeutic services— Bethesda provides well-rounded health care that goes beyond medical needs. “Improving the quality of life for our seniors is the goal,” says Linda McNair, Music Therapist at Bethesda Meadow. “I get to contribute to that goal through music therapy.” The Bethesda music therapy program began at Bethesda Dilworth in 2014 and expanded to Bethesda Meadow, with Linda leading the charge, in June 2015. With the help of Linda, residents have been able to form several groups including a therapeutic singing group called the Meadow Larks and an iPod program that promotes memory support through music. Linda brings the music therapy for seniors program to life through weekly “Move and Groove” classes, that combine music and exercises; music lessons that allow the resident to engage one-on-one in a favorite activity they have enjoyed in the past, and other activities to stimulate seniors’ brains. For seniors who self-isolate, are prone to anxiety or are living with dementia, music therapy is an evidence-based clinical practice that can offer an outlet for creative expression, reduce symptoms of anxiety or agitation and stimulate cognitive function. Linda hopes that music therapy expands into other Bethesda communities. Interested in Music Therapy for Seniors? 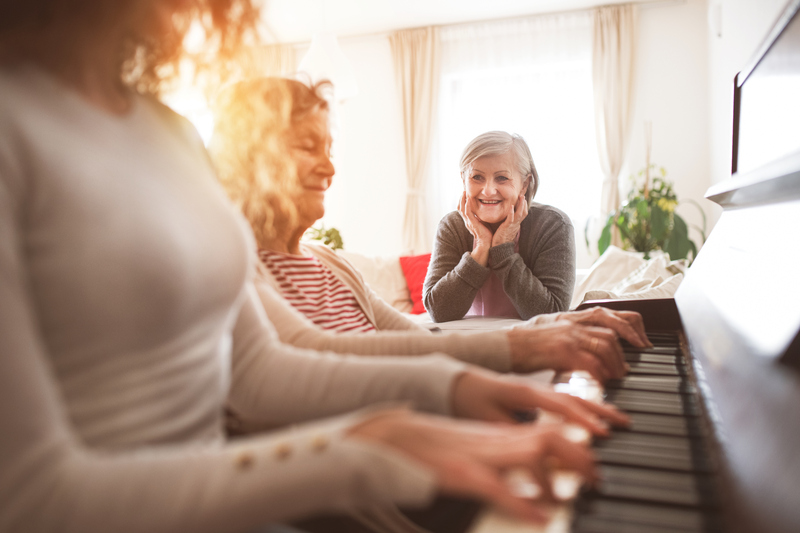 To learn more about the benefits of music therapy for seniors and to see if Bethesda’s music therapy program is right for you or your senior loved one, contact us today. Bethesda Rehab & Therapy – Is it the Right Decision for You?